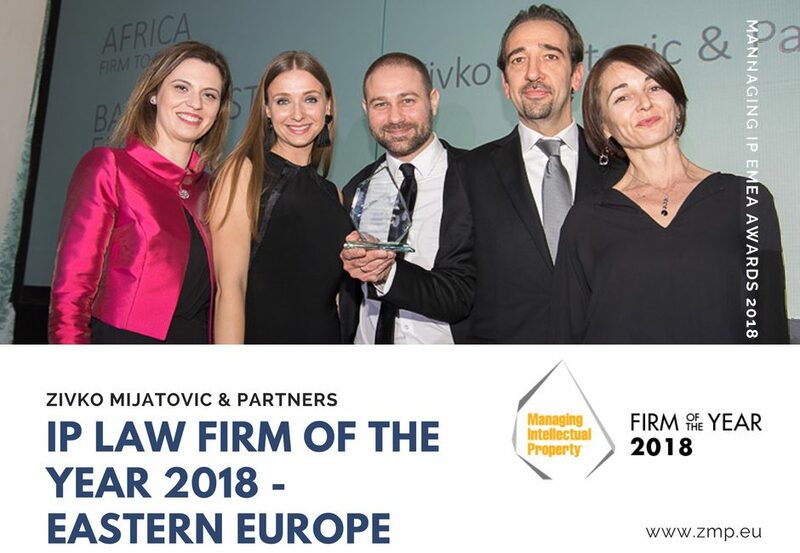 For the second year in a row ZMP is on a run to receiving MIP FIRM OF THE YEAR – EASTERN EUROPE! 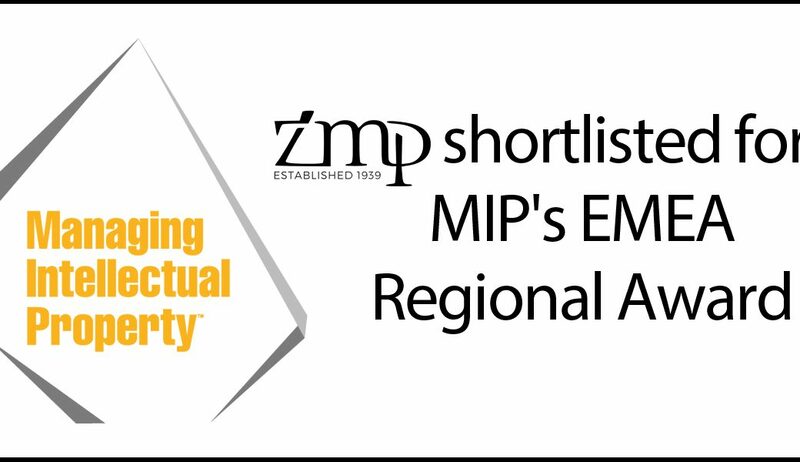 We are very proud that ZMP has been shortlisted for the Managing Intellectual Property EMEA Regional Award for the best IP firm in Eastern Europe and the Baltics. The winners will be announced at the Gala in the Savoy Hotel on 8 March 2018 and we thank all our clients and colleagues for their support. 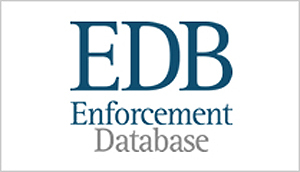 This prestigious award is given based on independent detailed research by the MIP. 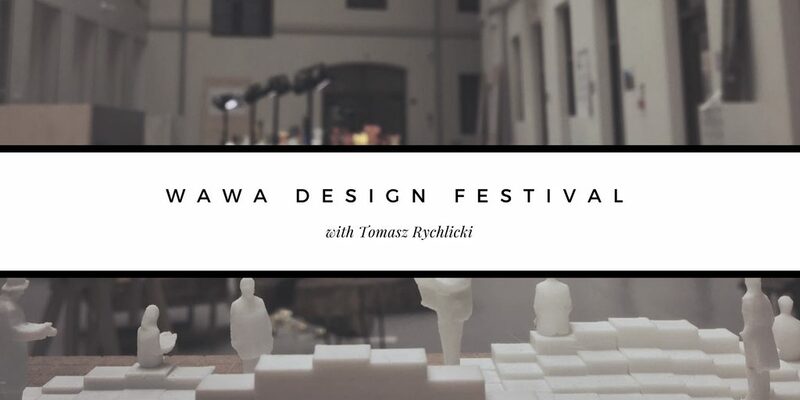 Tomasz Rychlicki, patent attorney from our Warsaw office will be one of the panelists during Mastering the Game Conference organized by the Polish Ministry of Culture and National Heritage, together with National Centre for Culture Poland, City of Warsaw and Indie Games Polska Foundation. 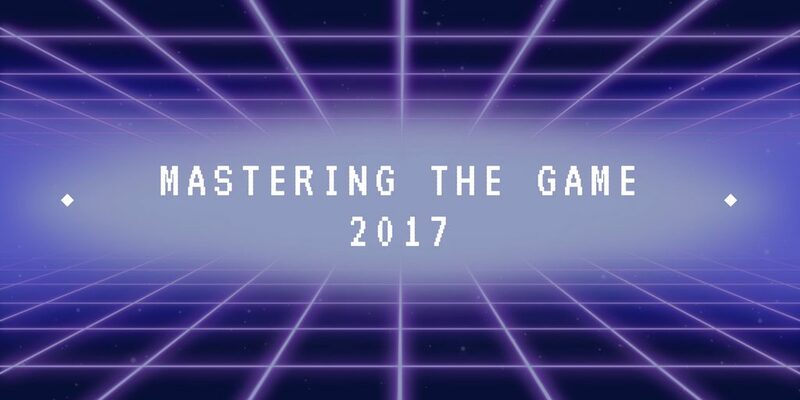 The Conference will be held on 16 and 17 November 2017. 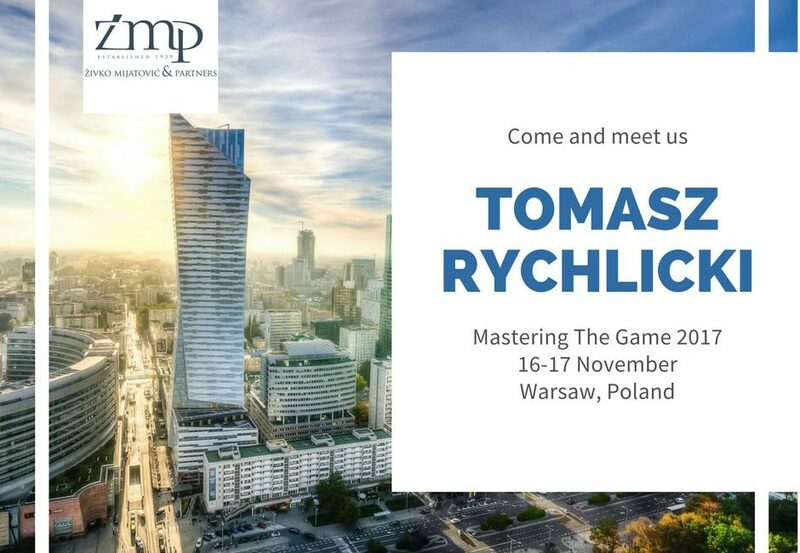 Tomasz will join the discussion on Intellectual property rights management and trademarks in video games industry. 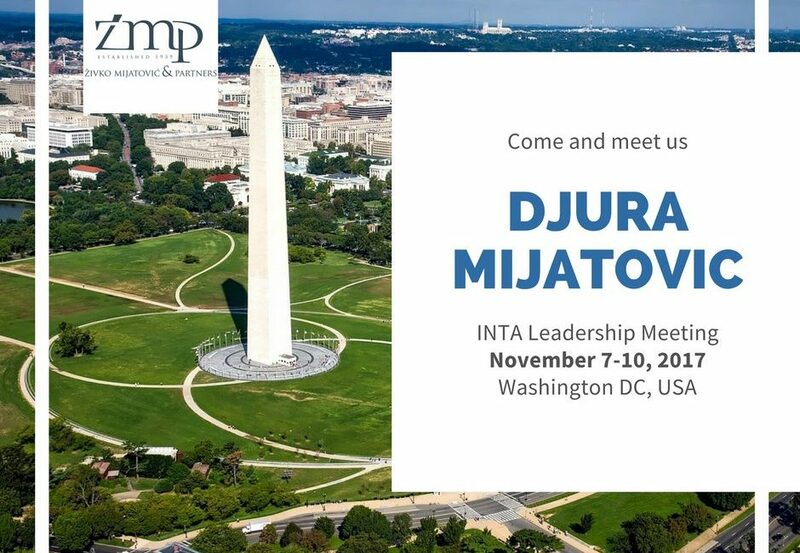 Djura Mijatovic – ZMP’s Managing Partner will be participating in the INTA Leadership Meeting 2017 which will take place Tuesday 7th – Friday 10th November 2017 in Washington, DC. 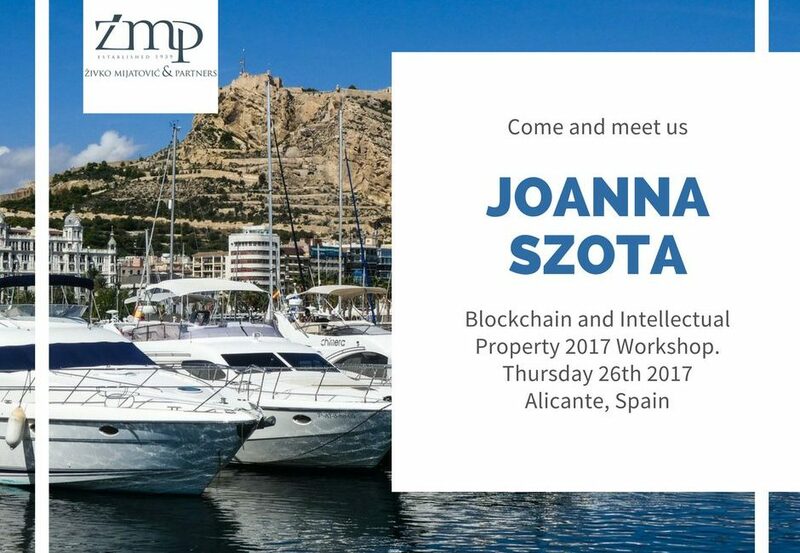 Joanna Szota, head of the Polish ZMP Office will be participating in Blockchain and Intellectual Property 2017 Workshop which will take place Thursday 26th 2017 in Alicante, Spain. We are trying to stay ahead of time and acknowledge the possible influence of new technologies on IP. 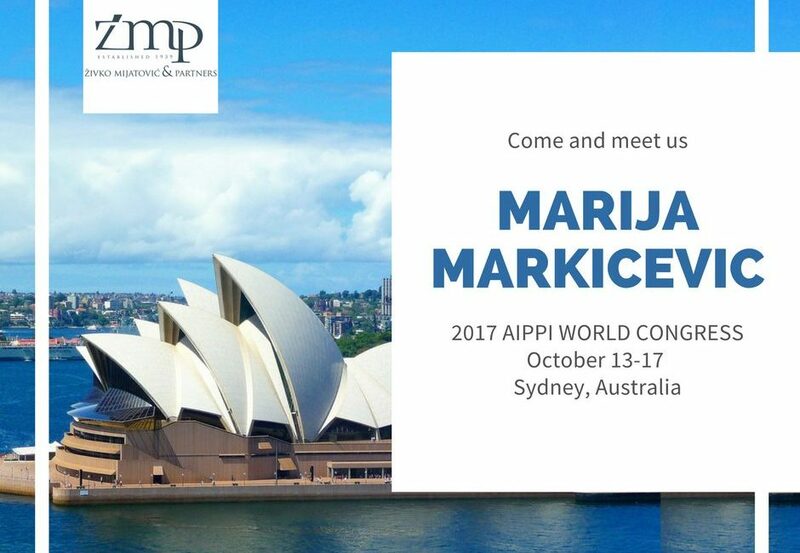 Marija Markićević, head of the ZMP Serbian Office, will be participating in the 2017 International Association for the Protection of Intellectual Property World Congress which will take place Friday 13th- Tuesday 17th October 2017 in Sydney, Australia. 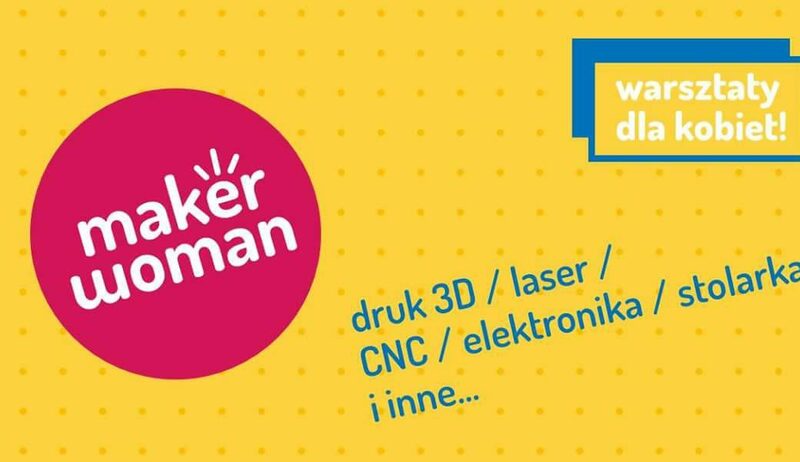 Arrange a meeting by sending an email to marijam@zm-p.com. 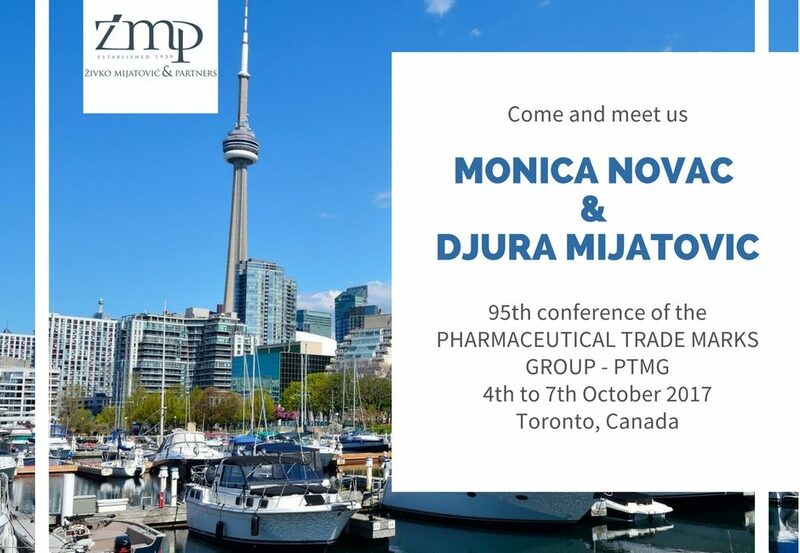 Djura Mijatovic our Managing Partner and Monica Novac, head of the ZMP Romanian Office, will be participating in the 95th Pharmaceutical Trade Marks Group Conference which will take place Wednesday 4th- Saturday 7th October 2017 in Toronto, Canada. Arrange a meeting by sending an email to monican@zm-p.com.